Thailand - Chiang Mai - Monks by the Wat Chedi Luang Lying Buddha Wat Pho. The Khantoke dinner in Chiang Mai is the traditional northern Thai form of dining. The food is served on a wooden pedestal tray, called "Khantoke". 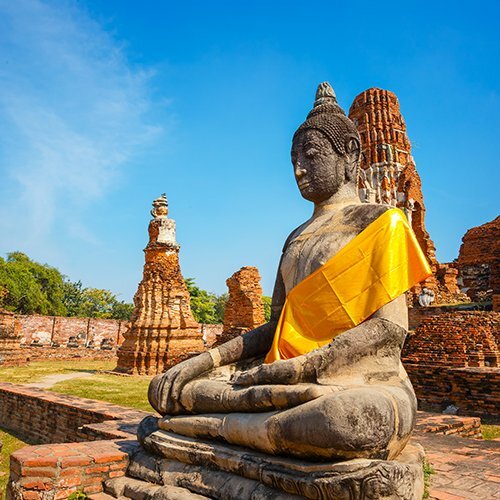 Sukhothai - The superb temples and monuments of this great city have been lovingly restored in Sukhothai Historical Park, a UNESCO World Heritage Site and a must-see for all travellers.